Jyn asks Cassian (Diego Luna) what the deal is with Churrut, and and Cassian says Chirrut is one of the “Guardians of the Whills” who was responsible for protecting the temple on Jedha. Except the Imperials have pillaged the temple and otherwise wrecked it, which is why Chirrut and his buddy Baze (Jiang Wen) are just kind of hanging out in the corner. But what in the world is a “Guardian of the Whills”? Well, even though it may seem like a meaningless offhand reference, this is actually an important piece of “Star Wars” lore, and a concept that could be very important as we continue forward into the Disney era of the franchise. So the thing about the temple and the city, Jedha City, in which is resides, is that it’s considered to be a sort of holy place for Force users and others who held the Force in high regard. A Mecca, as it were (all the cosmetic similarities to the real Mecca are not coincidental). So it was important to the Jedi back when they were around, and they stored a whole bunch of Kyber crystals there. Which the Imperials are now taking to use to power the Death Star’s superlaser. But the Jedi weren’t the only Force-revering group that held Jedha, and the Temple of the Whills, in high esteem. Many others did as well, including one called the Church of the Force. And in “Star Wars: The Force Awakens,” we met one very notable member of that church: Lor San Tekka. 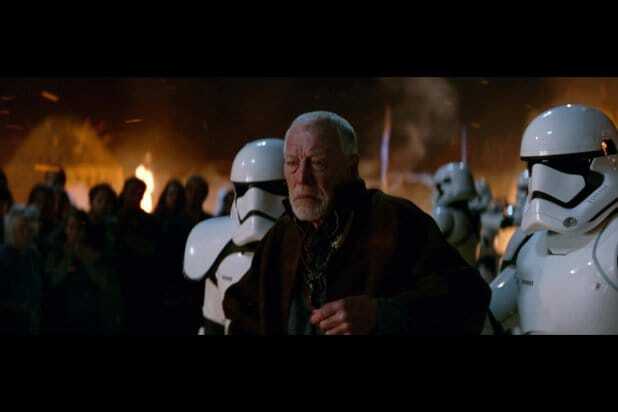 Now, that name may not mean much to you since it wasn’t spoken in the movie, but you’ll probably remember him he was the character played by Max von Sydow — he was the old man who gave Poe Dameron the map to Luke Skywalker’s hideout at the beginning of the movie. Remember this guy? This is a key connection. It’s a safe bet that Lor San Tekka — who had been, according to the “Star Wars: The Force Awakens: The Visual Dictionary,” an adherent to the Church of the Force even back during the days of the Empire — had been to Jedha at some point before it was destroyed. 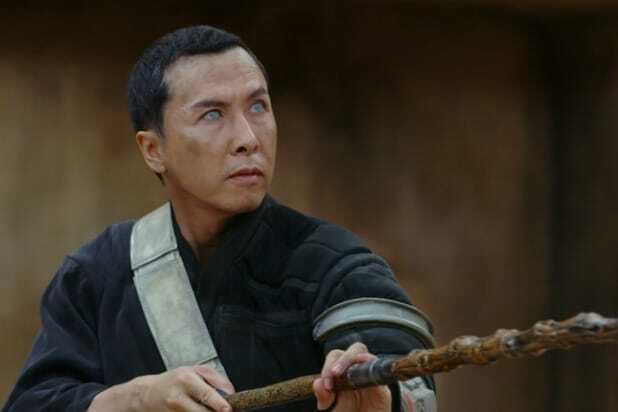 He may have even known Chirrut personally. We do know that San Tekka, who was a galactic explorer, met Luke not long after the events of “Return of the Jedi,” as the Star Wars Databank notes that he helped Luke recover old Jedi artifacts and lore. San Tekka did so because of his religious beliefs — he thought that the Jedi Order was necessary to keep the Force in balance. So he wanted to help Luke rebuild the Order. It’s entirely possible, even likely, that Luke visited the ruins of Jedha at some point and is at least familiar with the Guardians of the Whills. He did, after all, go searching for the first Jedi temple after Kylo Ren turned to the dark side and whiped out his fledgling academy. Though that first temple was actually on Ahch-To, where we saw him at the end of “The Force Awakens,” the Databank entry on Jedhi tells his that it was “home to one of the first civilizations to explore the nature of the Force.” The Temple of the Whills would have been a likely candidate in Luke’s search. That the word “Whills” was even spoken in a “Star Wars” movie means that the Guardians or the Journal could be important at some point down the line in the films. Which is a sort of surprising turn in itself because George Lucas’s original idea for the Whills predates the entire franchise and has dramatically evolved over time. See, the Whills have a long history both within the context of the saga’s storyline as well as the real-life narrative process. There’s a lot of great conversation within the fandom built around these early drafts, and an extensive look at the full process can be found right here, by writer Cassiopeia. The most interesting thing about those early drafts of the original “Star Wars” film is how they frame the narrative of the story — as something told by someone else, recorded into a journal. There’s some debate about how that’s relevant now, to us, but let’s focus on how the narrative developed from there. In the early drafts of the script that inspired the scene in the novelization, Qui-Gon mentions learning the method, and specifically refers to a “Shaman of the Whills.” Though the idea of Qui-Gon informing Yoda and Obi-Wan of this ability and the technique behind it has floated around in canon already, this first mention spawned what the Whills would become in the now-defunct Expanded Universe — that collection of novels, games comics and other ancillary material that rounded out the “Star Wars” canon before Disney acquired the franchise. While the stories don’t have an affect on the narrative that Lucasfilm is building now, the beloved books of what is now called the “Legends” continuity are still being reprinted today. 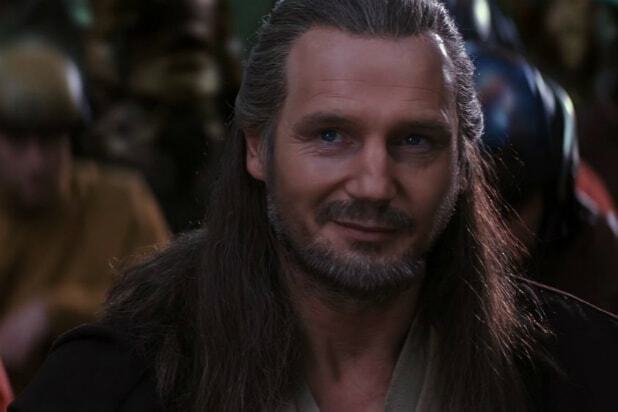 Thanks to several novels (including Jude Watson’s “The Last of the Jedi: The Desperate Mission,” “The Last of the Jedi: Dark Warning” and “The Last One Standing”) the Whills were brought back to life again, thanks to even more of Qui-Gon’s interactions with Yoda. The Way of the Whills was regularly mentioned once more, and the Ancient Order of the Whills was born. These were the people that Qui-Gon singled out as being able to train him to become a Force Ghost. All of this ended up getting a little jumbled by “The Clone Wars” TV series — which, we should note, remains part of the official continuity today. In the episode “Voices,” it’s shown that he learned the technique from Force Priestesses. This, the Expanded Universe persisted with its portrayal of the Whills until the canon reboot occurred. 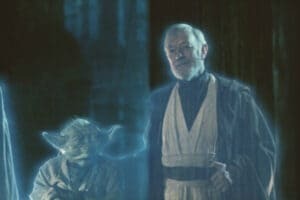 More than just a key to immortality, the Whills were deeply connected to the Force on a higher spiritual level, and served as historians for the galaxy, recording every major event throughout their endless lifespans. The Journal of the Whills was mentioned as being of particular interest to one Darth Tenebrous, who learned of the prophecy of the Chosen One from the Journal in the “Star Wars Insider” short story “The Tenebrous Way,” which had also been written by Stover. As we head into Episode VIII, one has to wonder just how much our own Luke Skywalker knows about the Guardians of the Whills, given the novels and stories that are documenting his one-man Jedi training throughout his younger years — plus his relationship with Lor San Tekka. It’s known that Luke also pursued many Jedi relics, including Force trees (one which he kept; the other was given to Poe Dameron’s mother) so his chances of not knowing about Force-related curiosities like these benevolent protectors are slim. It would seem as though these newly introduced Guardians of the Whills could turn out an important group of players at this point. 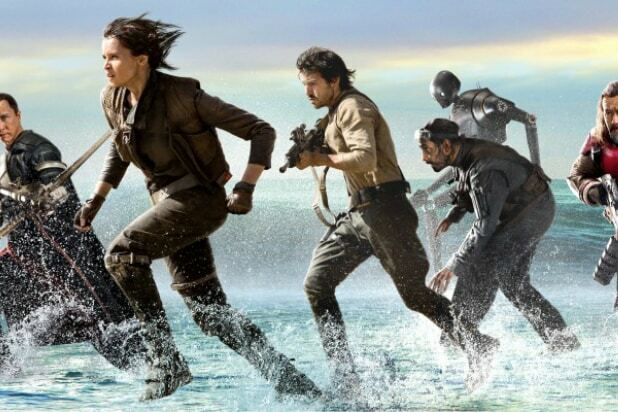 Their Jedha temple and the city it stood in were both key locations in “Rogue One,” and with their actual abilities remaining up in the air (outside of making sick laser crossbows, of course), it’s going to be interesting to see how they play alongside other Force-fanatic factions with a much darker side, like the Knights of Ren from the new saga film trilogy and the Acolytes of the Beyond from Chuck Wendig’s “Star Wars: Aftermath” novel. With “Rogue One” and potential interactions with Luke in the future, the Guardians of the Whills could very well become a vital part of the Force’s story.